Giving to those in need is a great way to spread love and kindness to those less fortunate than ourselves. Today’s Act of Kindness is to donate to a good cause. A financial gift to a not-for-profit is always appreciated at this time of the year and if you don’t have much money to give, there are plenty of ways to give back without breaking the bank. 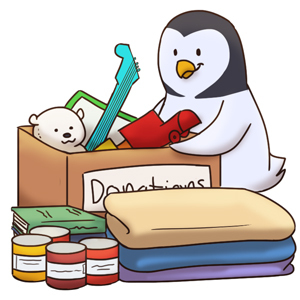 You can donate non-perishable foods to your local Food Bank, blankets to a blanket drive, or hats and scarves to a local shelter for the homeless. Afterall, we think it's better to give than it is to receive.